Ingraham Accuses Oprah Of "Race-Baiting" [VIDEO] - Joe.My.God. Ingraham was less than impressed and accused Winfrey of “fear mongering” and “broad-brush race-baiting.” “Gotta hand it to Oprah. 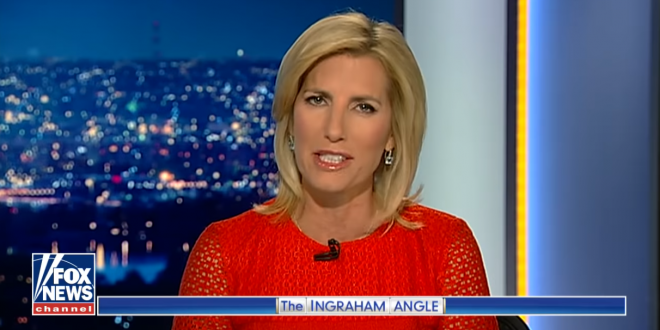 She’s a great speaker, but I liked her better when she was giving away Toyotas and refrigerators,” Ingraham said, in a subtle disparagement of her daytime talkshow. “To try to tie the candidacy of the Georgia Republican gubernatorial candidate Brian Kemp to the scourge of racism and even lynchings? Come on, Oprah! It’s dehumanizing, it’s completely baseless, it’s totally cruel, and again I say, you’re much better than that and you’re much bigger than that,” she said on The Ingraham Angle.